Join Cotswold Outdoor staff raising money for Walking with the Wounded who support homeless and other vulnerable veterans this Christmas. 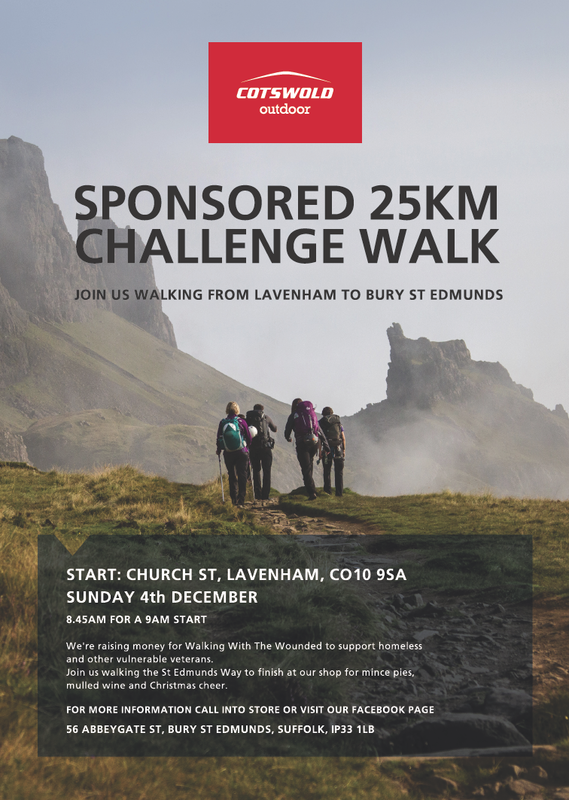 The team will take you on a 25km walk following the St Edmunds Way from Lavenham to Bury St Edmunds. 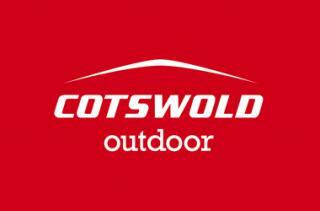 Finish at the Cotswold Outdoor store for mince pies, mulled wine and Christmas cheer! A suggested donation of £10 (and if you register using the ticket link you can get a walking pack with santa hat and hi-vis jacket). Plus whatever you can fundraise. This walk is nearly 25km long, involves a total of 200m height gained and will take between 6 and 7 hours to walk and we plan to walk at about 4km/h. Please bring with you: waterproofs, sturdy walking boots, warm clothing, hat, gloves and spare socks. You'll also want to bring some snacks to keep you going through the day and about 1-2 litres of water. Contact Gavin or Niall at the store for more information on 01284 749310 or email here.